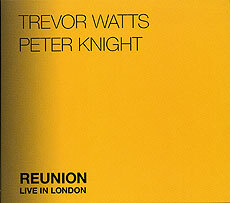 Trevor Watts, alto and soprano saxophones; Peter Knight, violin. Recorded on 16 July 1999 at the Queen's Arms, Islington. Design (front cover reproduced above) by Wesley Richardson.